Bermuda’s mature, sophisticated regulatory environment has aided its development into a world-leading hub for reinsurance and insurance-linked securities (ILS) business, and according to Appleby’s Brad Adderley, change in regulation has enhanced business opportunities, not diminished them. Brad Adderley, Partner, Corporate at lawfirm Appleby in Bermuda, speaking at a recent Artemis executive roundtable event in Bermuda, highlighted that in the 20 years he has been working in the industry, each time regulations were changed there was the assumption that it was going to adversely impact the business. However, “in reality it actually had the opposite effect. It increased our business because regulation often enhanced us and brought more business to us,” said Adderley. Bermuda serves as an important global hub for both ILS and traditional reinsurance business, home to a wealth of industry expertise and talent, while acting as a vital source of reinsurance and insurance-linked diversification for international insurers. Testament to this was the decision of the European Commission to find Bermuda and the Bermuda Monetary Authority (BMA) to be fully equivalent under Europe’s new Solvency II regulatory framework, which came into effect from January 1st 2016. In the past, Adderley notes that some of the firm’s clients would perhaps look elsewhere than Bermuda to place their business in order to avoid stricter regulations. However, as the reinsurance and ILS market has evolved and regulation has developed with it, particularly in Bermuda, people are coming to the firm saying, “I want to be regulated, because they see the benefits,” explains Adderley. As an example, Adderley draws on the wealth of fixed annuities and GICs (guaranteed investment certificates) that moved to Bermuda from other jurisdictions in the past, jurisdictions that had Anti-Money Laundering (AML) issues, which resulted in the business moving to a market with improved, sophisticated regulation. While the other jurisdictions might well have AML laws in place now, damage to reputation can sometimes be a significant challenge to overcome in order to bring in new business, especially when somewhere like Bermuda can facilitate the business in a strong, smart regulatory environment, that has a solid and proven track record. Something a well-regulated market does well, is attract capital, add to this the island’s long history of facilitating innovative solutions and structures, and the fact that Bermuda and its regulator have been granted Solvency II equivalence, and it would be fairly safe to say, for now at least, that its position as a leading reinsurance and ILS hub will continue. “There’s already a history of this: segregated accounts, Special Purpose Insurers, collateralised reinsurance, the cat bonds in Bermuda and, more recently the new lite transactions you’ve seen in Bermuda; you just don’t know what’s allowed until the next deal is approved. You always wonder whether next time will they say no,” said Adderley. While Bermuda might well be one of the world leading hubs for ILS and reinsurance-linked business today, it’s important it continues its history of innovation with products and structures, as well as the continued development and evolution of its regulatory environment. Other jurisdictions around the globe are beginning to understand the benefits of having a well-regulated, attractive marketplace, and with the persistent growth of ILS predicted to continue and broaden its reach; Bermuda might have to fight harder for business in the future, once other domiciles really start waking up to the wealth of change sweeping the industry, and the opportunities this presents. 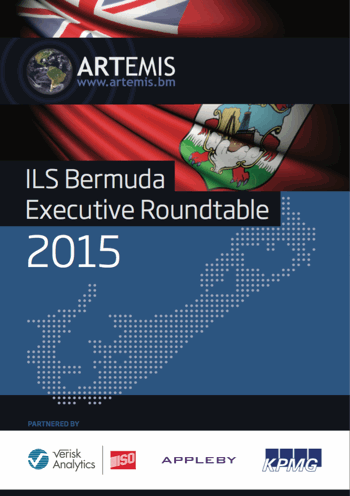 Download a copy of our report from the first Artemis ILS Bermuda Executive Roundtable, in which our participants discuss burning issues affecting the sector, with an eye on innovation and what the future might hold for ILS in Bermuda, and beyond.